This is Black History Month, so I decided to tell about some little-known aspects of Saskatchewan’s history. The first people in Saskatchewan were those we now refer to as Indigenous: The Dené, Cree, Saulteaux (pronounced So-toe), Dakota, Lakota and Nakota. Then came the French and Scottish fur traders and explorers. Some of them stayed, took wives of the people who were already here, and their descendants are known as Métis. Then the land was opened up for homesteading and landless people from Eastern Canada, the USA and Europe were invited to come and settle this “new” land. Well, it was new to most white people anyway, and it was white people who were wanted as settlers. The homesteaders came from many countries, languages and cultures and of necessity learned to live and work together to survive and prosper. They faced challenges of breaking the land, learning what crops to grow, getting those crops to market, surviving harsh winters and summer insect plagues. A few gave up and left, most couldn’t afford to leave so they stuck it out through all the hardships of the early years and eventually prospered. 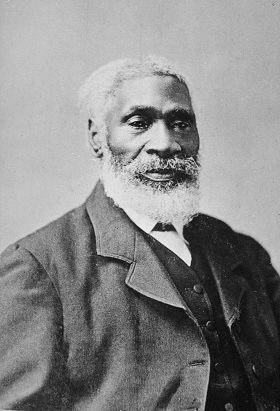 The first black person to arrive in Saskatchewan was Alfred Shadd, from a prominent family in the Buxton settlement south of Chatham, Ontario. This was a settlement of people who had escaped slavery and travelled north on the underground railway to Canada. Alfred Shadd saw an ad for a teacher at Kinistino, Saskatchewan and came out in 1896 to fill that position. After a year he returned to Ontario to complete his studies to be a doctor, then came back and settled in Melfort as a doctor. Eventually he also operated a drug store, a newspaper and a farm where he raised Shorthorn cattle. He served on the town council and came very close to being elected to the provincial legislature. He died suddenly of appendicitis in 1915. Lewis and Lillie LaFayette of Oskaloosa, Iowa arrived in Saskatchewan in 1906. Lewis first worked on a farm near Regina. At times during their first winter the temperature dropped to 60° below zero (Fahrenheit). In 1909 Lewis took up a homestead at Fiske, west of Rosetown and there he raised a family of ten. He farmed with horses at first, then purchased a Waterloo steam engine in 1913. Two of his brothers joined him at Fiske and for a number of years they ran an all-black threshing crew of 22 men, bringing workers from the USA and helping their neighbours throughout the district get their grain in the bin. Lewis helped organize the first country school in his area, named Oskaloosa school. He helped organize the first telephone service and served on the telephone board. He was also involved in establishing a co-operative grain elevator. Descendants of Lewis and Lillie are now scattered over Saskatchewan and Alberta. After the Civil War thousands of former slaves fled to the Oklahoma Territory where they could vote, go to school and live in relative freedom. Oklahoma became a state in 1907 and quickly introduced segregation and denied blacks the right to vote. Dozens of families decided to head north, lured by the promise of obtaining land by homesteading. Twelve families took up homesteads north of Maidstone, Saskatchewan, the others continued on to Amber Valley, Alberta. About this time the Canadian government panicked at the idea of the Canadian West filling up with black settlers, and instructed immigration officials to refuse entry to blacks on health grounds, claiming the climate of the country was much too harsh for them to survive. In 1912 the families north of Maidstone built the Shiloh Baptist Church. Joseph and Mattie Mayes were the best known members of the community; Mattie served as a midwife for many in the surrounding area. The descendants of the original settlers have all moved on by now, but the church and cemetery are maintained as heritage properties, a memorial to this group of black homesteaders. A grandson of Joseph and Mattie Mayes relocated to North Battleford with his wife and raised a family of seven. They were the only black family in the city and experienced no prejudice. One daughter is now a nurse in Saskatoon, another is a veterinarian and their brother Reuben played pro football in the NFL from 1986 to 1993. These were the pioneers, the first black threads in Saskatchewan’s tapestry. Many more have followed, at first mostly from Eastern Canada and the USA but in more recent years many have come from the Caribbean and Africa. About fifteen years ago it was said that most of the workers at the broiler processing plant in Wynyard were people who had come here from Sudan as refugees. For a few years, our family doctor was a man who received his education in Kinshasa, D. R. Congo. He speaks French, English and five African languages. Now he is the main doctor at a walk-in clinic in Saskatoon. I have met two people of African origin who have written and published Christian books after settling in Saskatoon, one is from Zambia and the other from Nigeria. The tapestry of our province is still being enriched by the addition of these black threads. Will Harriet Tubman appear on the Canadian $100 bill? Earlier this year, the Bank of Canada asked the public for suggestions for a woman to appear on the $100 bill. The woman selected must nor be fictional, must have died at least 25 years ago and must have played a significant role in Canadian history. Harriet Tubman was one of the names proposed. You see, Harriet Tubman’s main claim to fame was as a conductor on the Underground Railway, leading black people from slavery in the U.S south to freedom in Canada. She once said “I wouldn’t trust Uncle Sam with my people no longer, but I brought ’em all clear off to Canada.” St. Catherines, Ontario was her home from 1851 to 1861, the height of her activity as a conductor on the Underground Railway. This covers most of the time between the passage of the Fugitive Slave Act, which made life risky for black people anywhere in the USA, and the Emancipation Proclamation. This church, the Bethel Chapel British Methodist Episcopal Church, was Harriet Tubman’s home church in St. Catherines. It is considered to be the oldest black church in Canada and is still home to an active congregation. It has been designated a National Historic Site, due to its connection to Harriet Tubman. York University in Toronto is home to the Harriet Tubman Institute for Research on Africa and its Diaspora. It’s unlikely that Harriet Tubman will be selected for the $100 dollar bill. For one thing, I don’t believe she ever became a Canadian citizen. Yet she is well known in Canada and played a prominent role in our history. I suspect it is more likely that she will turn up on a Canadian postage stamp. I’m a little surprised that it hasn’t happened already.